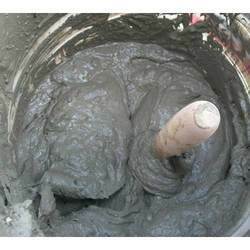 Manufacturer & Supplier of Cement Mixtures Water Retainers. Our product range also comprises of Polyurethane Paint, Rust Preventative and Retardant Paint. With consistent focus on quality, our company is engaged in offering a vast range of Cement Mixtures Water Retainers/Admixture. The offered product is processed using the finest quality chemicals and advanced techniques in accordance with the set standards. Moreover, offered product is used to improve the quality of cement works. Our product is provided in various customized packaging options as per the varied needs of customers. Looking for Cement Mixtures Water Retainers ?